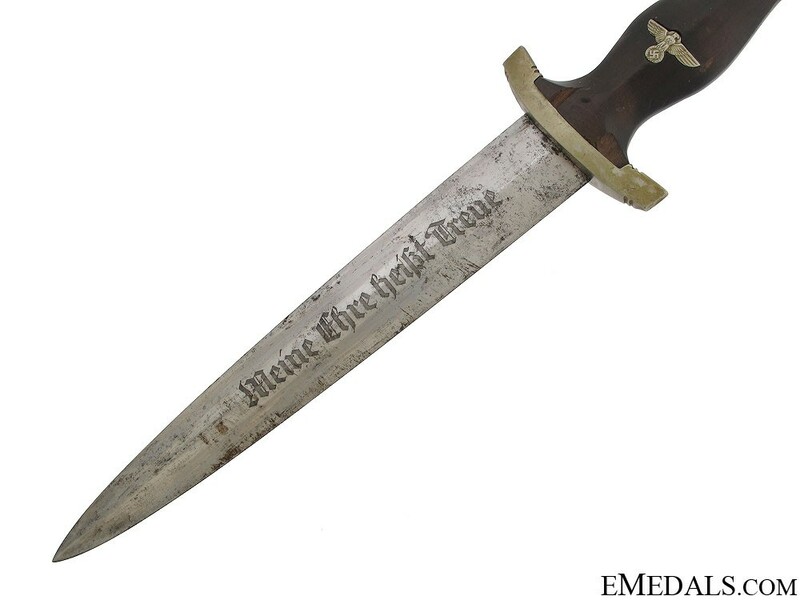 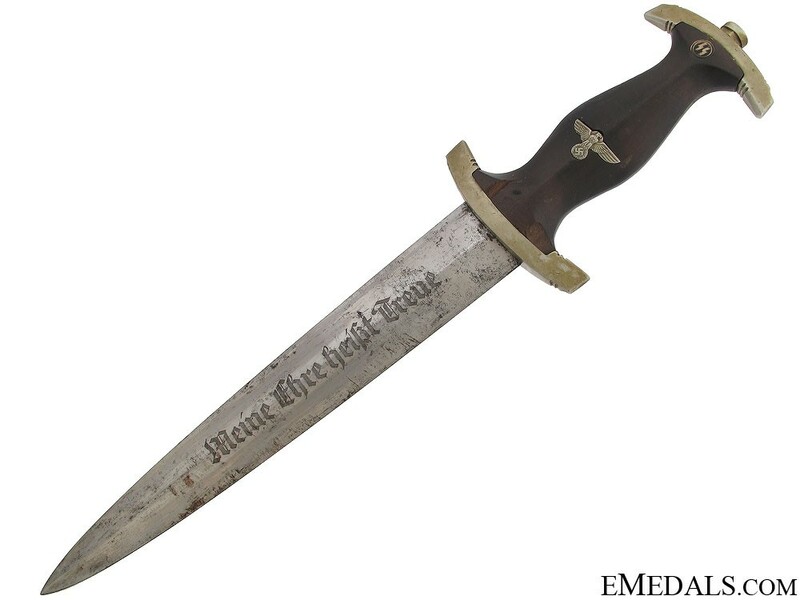 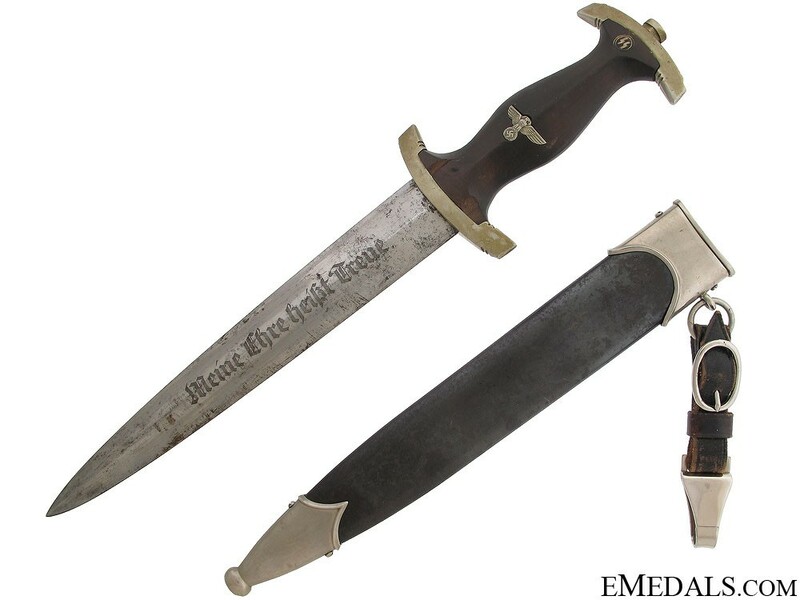 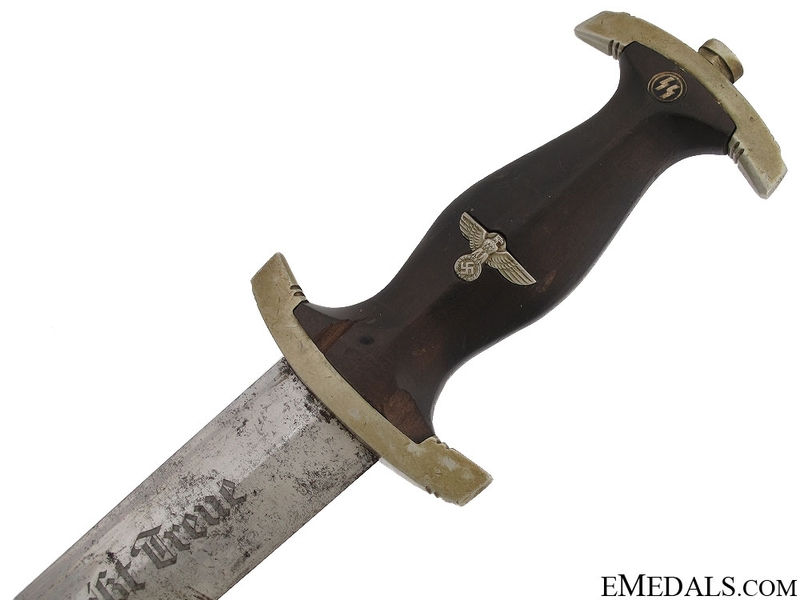 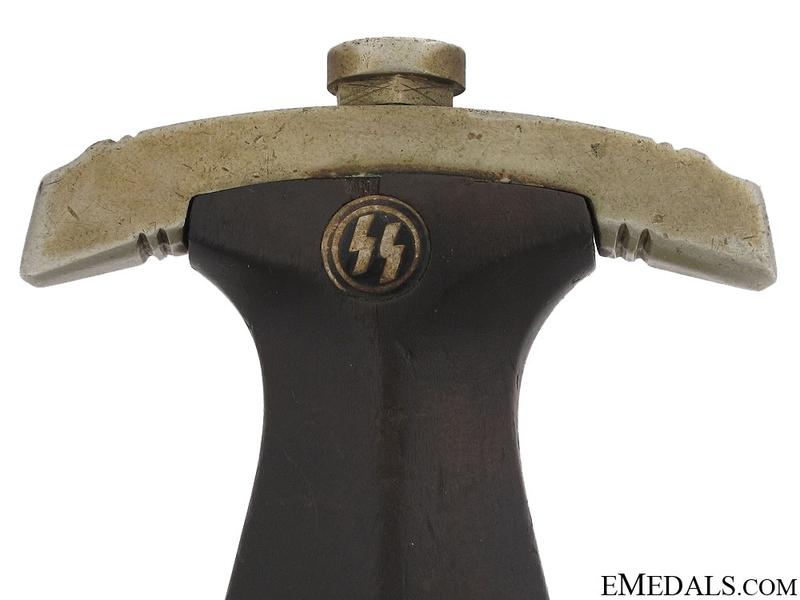 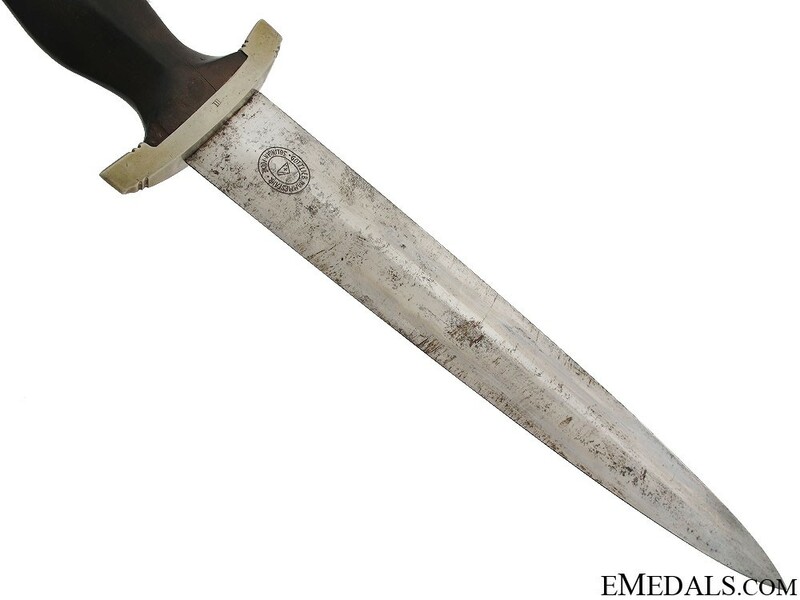 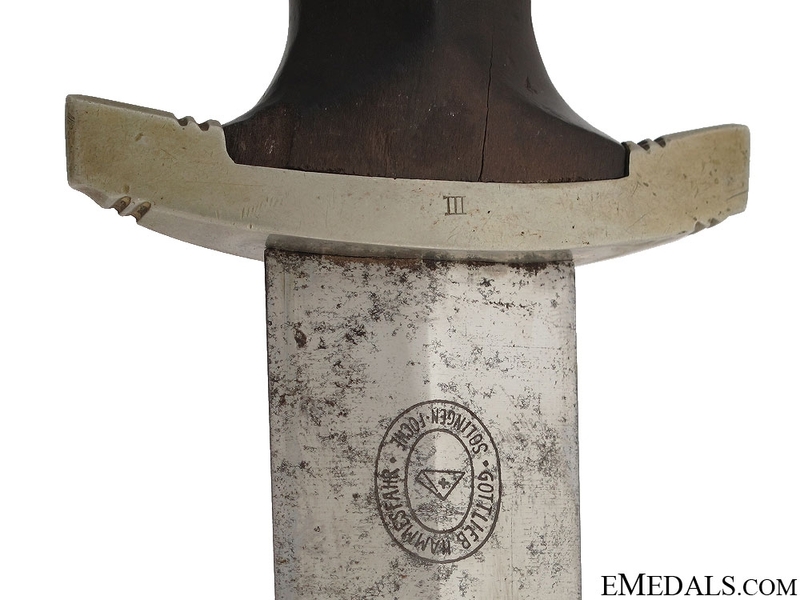 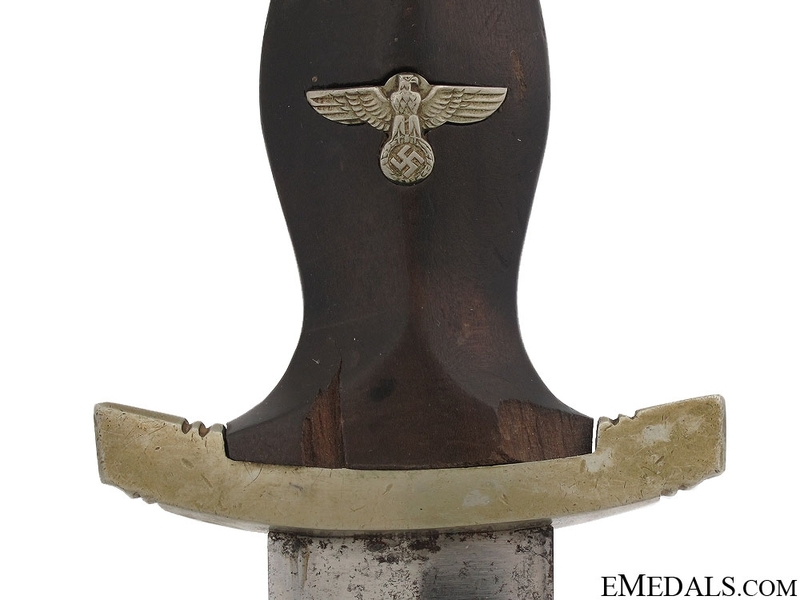 Early Model SS Dagger by Gottlieb Hammesfahr - The blade of this dagger exhibits minor surface pitting, uncleaned, with original cross graining, and aside from the usual runner marks, this blade is untouched. 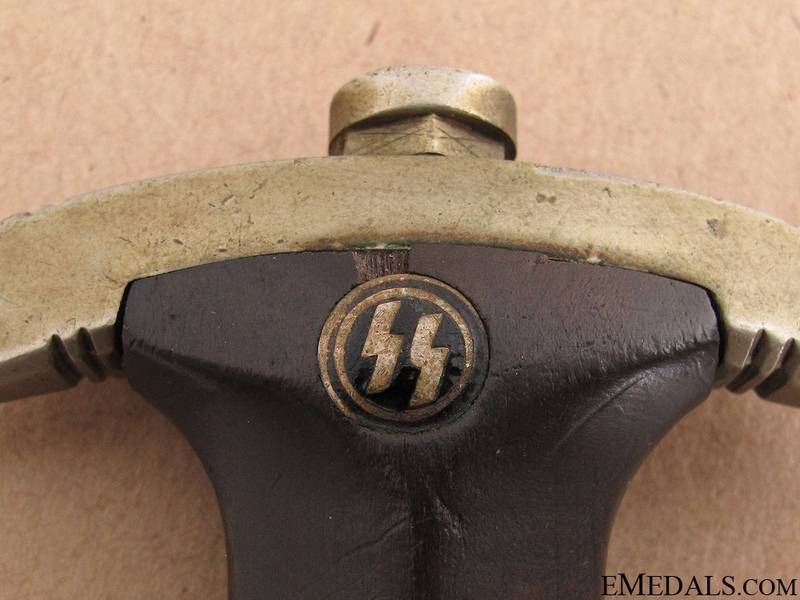 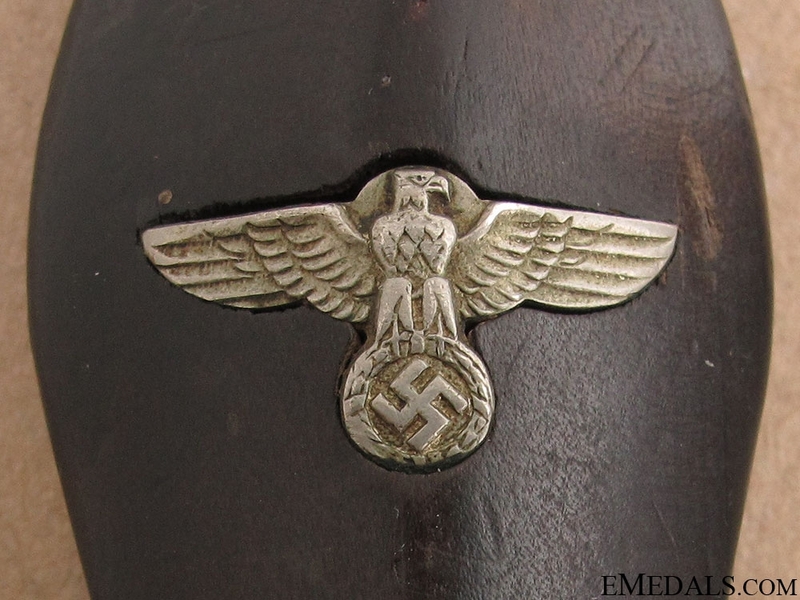 The SS motto is clean and crisp and deep. 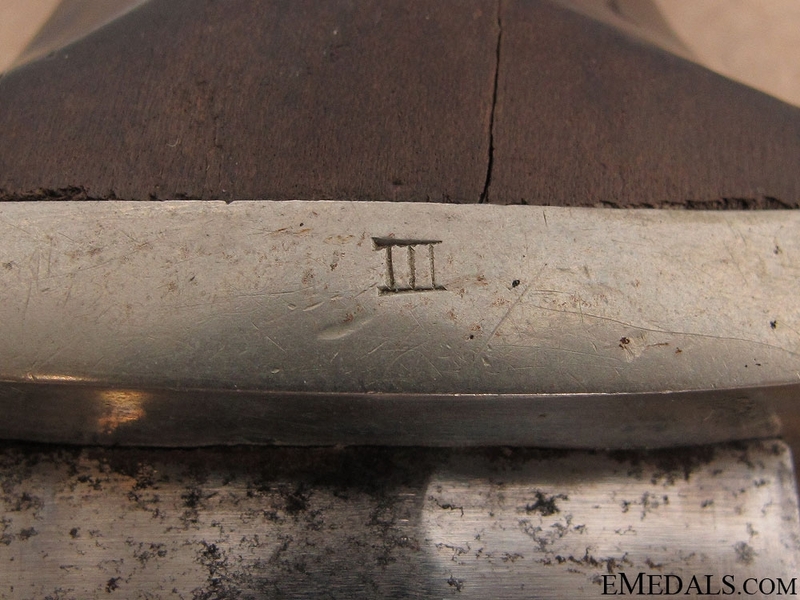 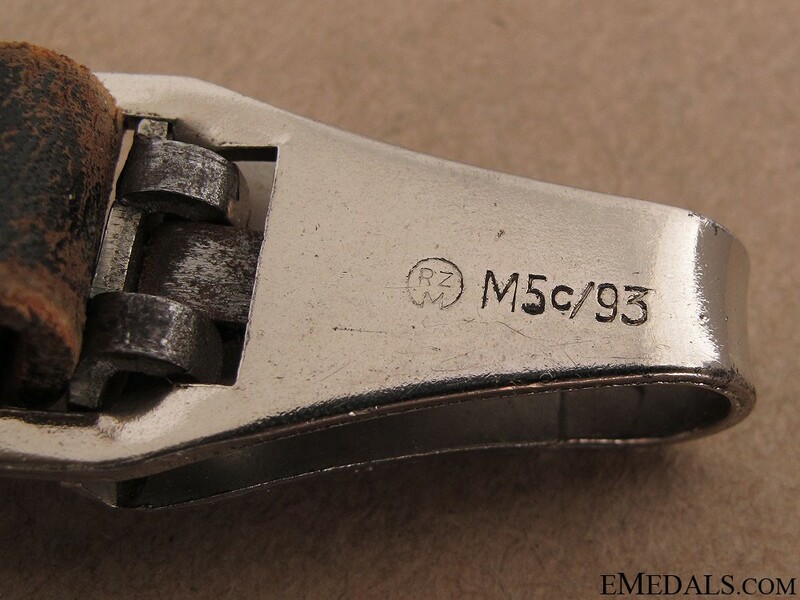 The reverse blade displays the double ovals of this producer. 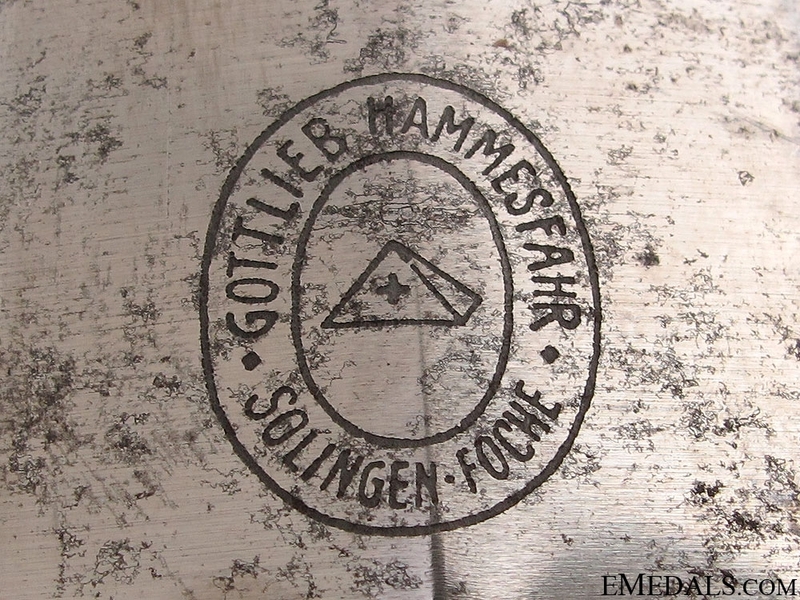 These ovals trap the firm?s name and location "Gottlieb Hammesfahr Solingen - Fosche". 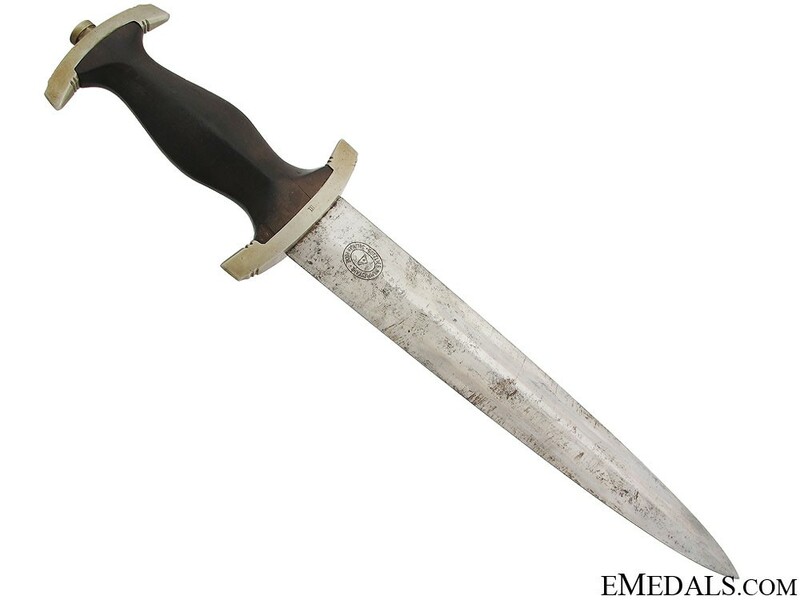 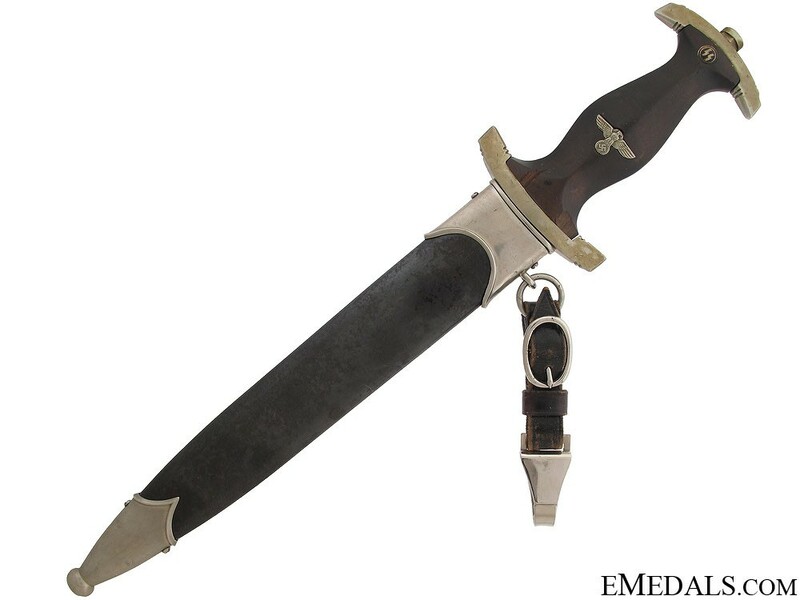 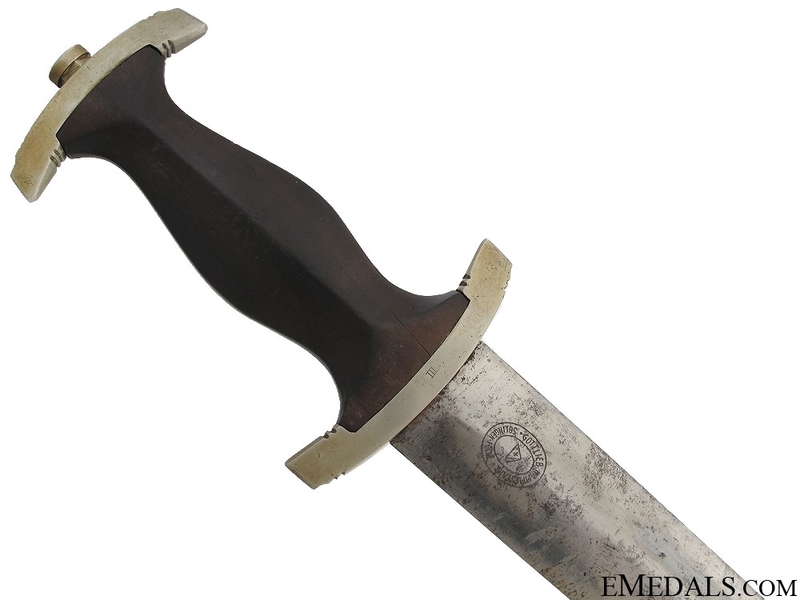 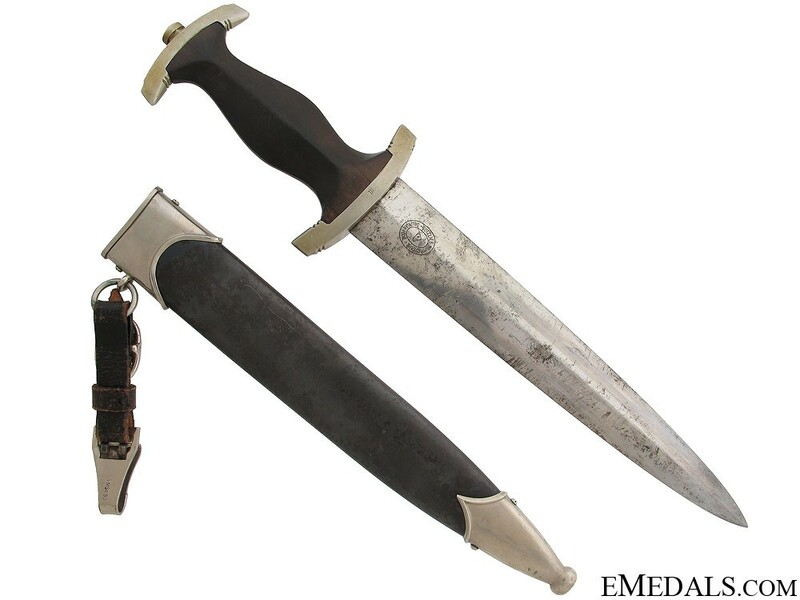 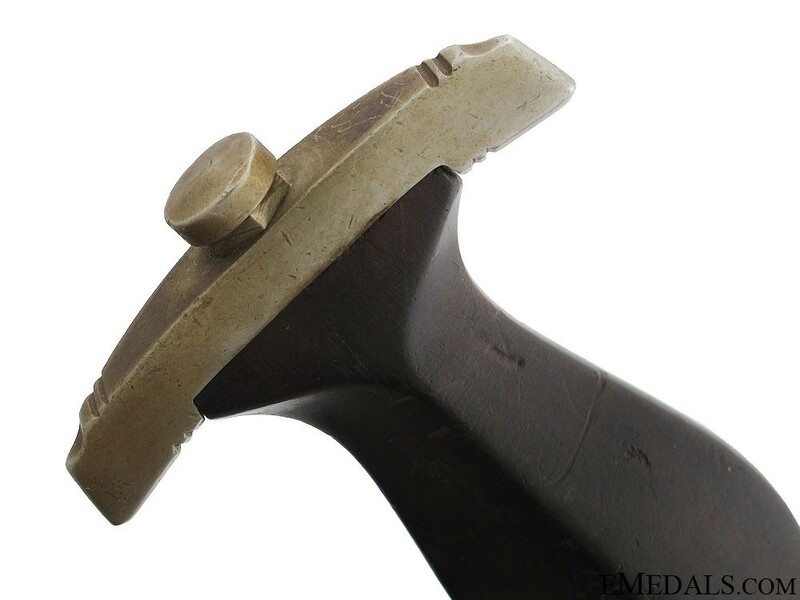 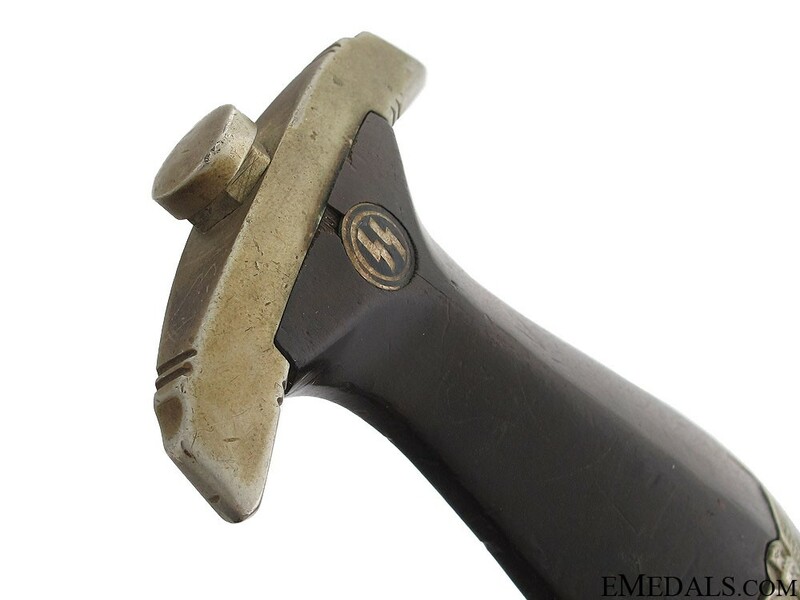 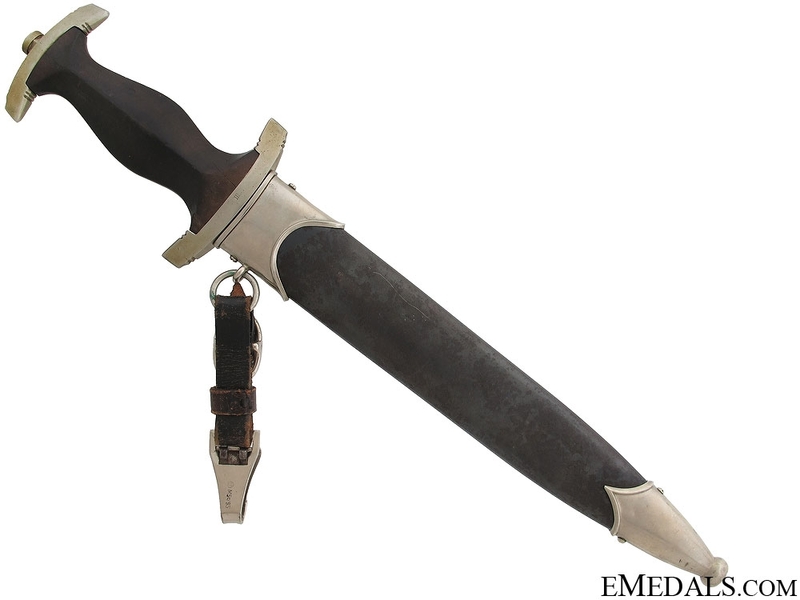 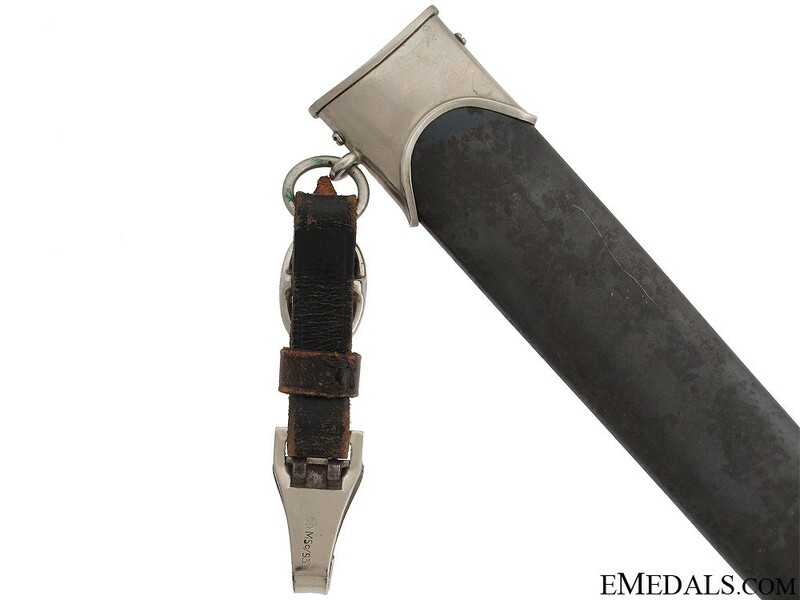 Hilt exhibits extensive use, uncleaned, with some wood being chipped away on the handle, hence about good-fine condition; scabbard is anodized, early type, straight, with only few minor dents, retains over 90% of original finish, very fine condition. 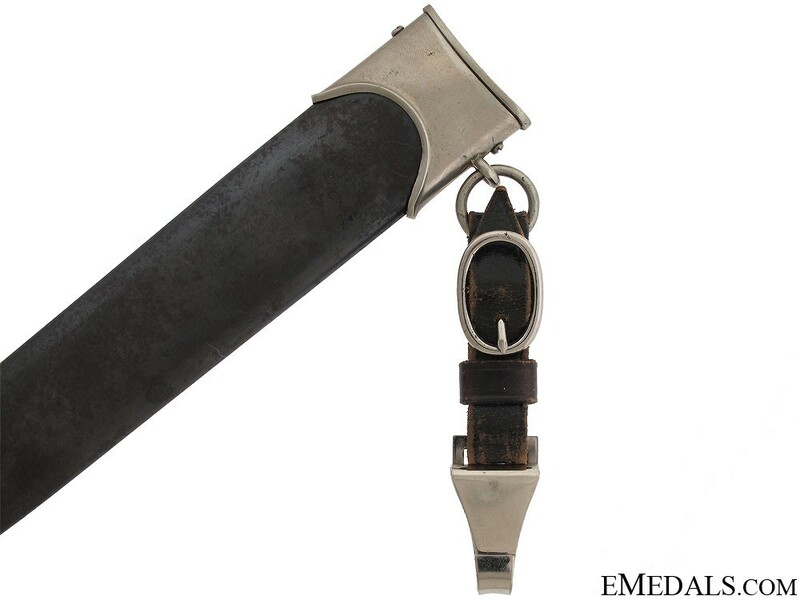 With black leather hanger, maker marked.